It’s that time of year again. I decided not to partcipate this go ’round, though. I wanted to but am so stretched this summer…not to mention that it’s almost too late to post a giveaway. 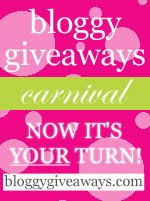 But it’s not too late to enter MANY of the giveaways! If you don’t know what I’m talking about, click here to view all the links to other blogs where many many many many many many other ladies are giving away FREE STUFF! All you USUALLY have to do after clicking on the link(s) is leave a comment on their post. Just go there…you’ll figure it out!